It is clear that Civilization VI, the latest instalment of the renowned Civilization series of strategy video games, is one of the most eagerly awaited games of the year. And no doubt dealing with other world leaders has always been one of the most entertaining aspects of these games, even if diplomacy in the Civilization series has not always been up to scratch. But still, engaging in diplomacy with historical figures like Gandhi (who will also feature in Civilization VI) or American revolutionary leader George Washington has always been fun due to the colourful way in which these personalities are portrayed in Firaxis’ Civilization games. American developer Firaxis has been releasing a series of preview videos for Civilization VI which focus on the different civilizations players will be able to control in the game, and their respective leaders. 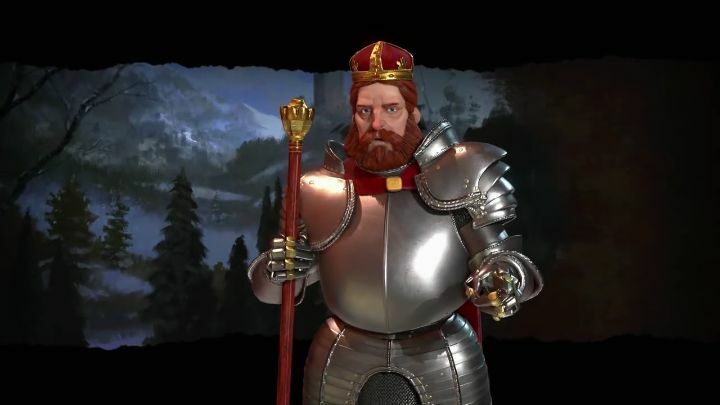 We’ve already seen western civilizations like France or England, and this latest preview video focuses on Germany, which is led by Frederick Barbarossa. The man was in charge of the Holy Roman Empire (a union of Germanic kingdoms in Western Europe) in the 12th century, and died while taking part in the Crusades. And taking into account what a warrior king Frederick was, Germany gets several military bonuses in the game, as German units get a combat bonus when fighting the military units of City States (which are not fully-fledged civilizations in the game, but rather minor ones which only possess one city). Also, Germany gets to deploy their U-boats in the modern era, which are a step up from the submarines other nations get to use in the game. Perhaps the greatest advantage Germany possesses in Civilization VI though, it its unique city district (known as the Hansa) which gives players production bonuses , meaning Germany can become an industrial powerhouse in the game letting players build units and buildings faster than the competition. So while other civilizations like France can rely on espionage to gain an advantage, and the likes of Kongo are good all-rounders, it seems Germany will be right for players who want to focus on out-producing their rivals, which can make most paths to victory (especially the military one…) viable. Taking into account that Civilization VI’s release date is just around the corner though, we don’t have to wait much longer to find out whether playing as Germany in this latest instalment of the series will be as much fun as in earlier entries, and whether this Civilization game will get to shine this year and deliver the great strategy experience the series is renowned for.